Surround yourself with the beauty of Oamaru's stunning Victorian architecture and take a step back in time and sample the nostalgia of the Victorian era. Come along and join in the fun for the grand finale of the Oamaru Victorian Heritage Celebrations 2018. 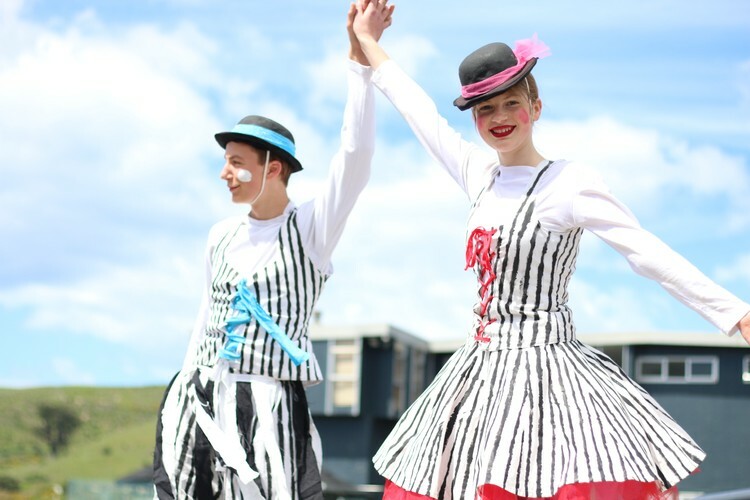 The Network Waitaki Victorian Fete is a day jammed packed with non-stop entertainment. You will be thrilled with the incredible Victorian costumes, jugglers, street performers, magicians and stilt walkers, around every corner, ensuring the day is one to remember. Quality boutique stalls selling all manner of fine wares will line the streets. A great time to do some early Christmas shopping, selecting from the array of truly original gifts that will delight family and friends. With November 18 rapidly approaching, you're just in time to book a stall site. All day; Live Music, Competitions, Family Entertainment, NZ's best Artisan Stalls and Street Food. This event is the annual fundraiser for the Oamaru Whitestone Civic Trust with proceeds going towards preserving New Zealand's Best Collection of Heritage Buildings here in Oamaru. Come along, support a great cause, dress up in your Victorian best and join in all the fun of the Fair!